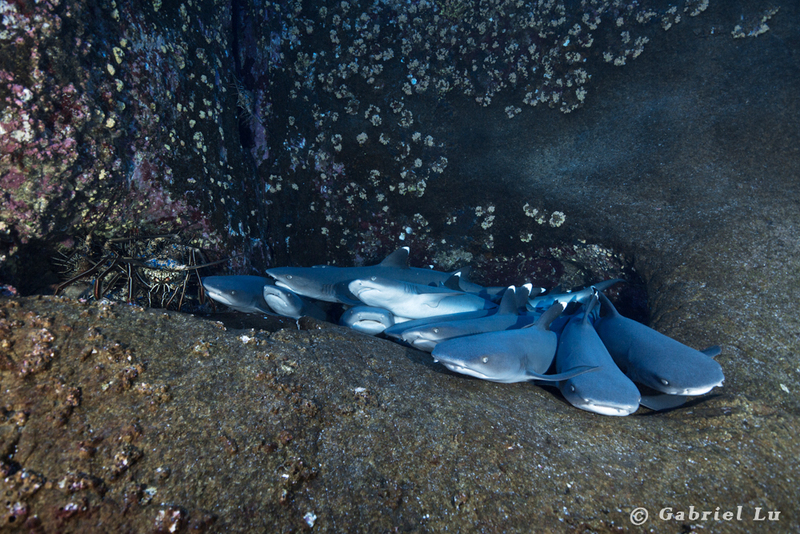 When we dove the Roca Partida (the tiny rock in the middle of the ocean off the coast of Mexico) last year, we saw a group of whitetip sharks huddling together next to spiny lobsters on a ledge on the wall of the rock. I heard it was a common sight here, but the reason why they do this is not known. Please Note: This is a printout of the Ocean Safari Scuba | Blog | Underwater Gang page from 04/22/2019. Some information may have been updated in the mean time. Please visit PAGE URL to view the latest up-to-date information or call us at 626-287-6283 if you have any questions.